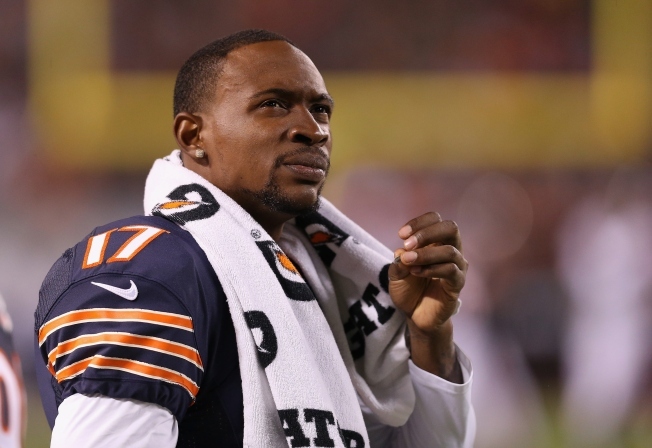 The Chicago Bears will reportedly be without their top wide receiver again on Sunday, as Alshon Jeffery will miss his third consecutive game with a hamstring injury. The news, which came from Jeff Dickerson of ESPN Chicago and was corroborated by Ian Rapoport of NFL Network, is a big blow to the Bears after a week in which their passing attack generated just 64 yards and zero points in a 26-0 loss to the Seattle Seahawks. Jeffery missed a huge chunk of training camp and the preseason with a calf injury, and while he did play in a Week 1 loss against the Green Bay Packers, he has only seen the field on a limited basis since. He sustained an injury in the lead-up to the Bears’ Week 2 contest against Arizona, and although he has been a limited participant in practice this week, it appears that he’s still not healthy enough to play against the Raiders Sunday. Jeffery’s absence means continued work for Eddie Royal and Marquess Wilson as the team’s starting wide receivers, and running back Matt Forte and tight end Martellus Bennett will also stand to benefit from an increased workload.